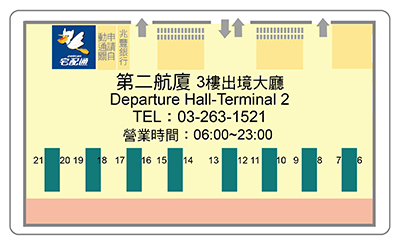 ◎Pelican Delivery Service provides luggage delivery services at Taoyuan In ternational Airport. With one call to Pelican, you’ll travel unburdened, whether overseas or homebound. ◎If luggage is shipped after 17:00, delivery will be postponed 1 day. 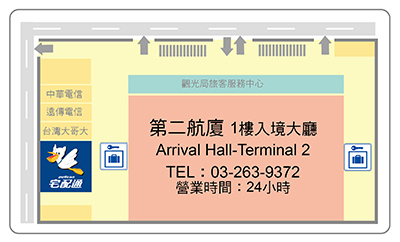 ◎“At-home pickup” shipping location cannot be a FamilyMart or HiLife locations. ◎The standard of luggage:Length+Width+Height less than 180cm. ◎Packages with dimensions over 181 cm or 31 kg require additional price quotations. ◎Low temperature cargo specifications:Length+width+high ≦ 120cm Side length ≦ 75cm. 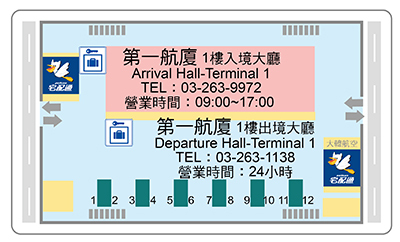 僅提供隔日轉運服務 Transfer service only provided the alternate day. Note 1：24-hour business hours for Deposit Service. Each piece is calculated according to the specs (sum of the 3 sides of Length + Width + Height) and weight. 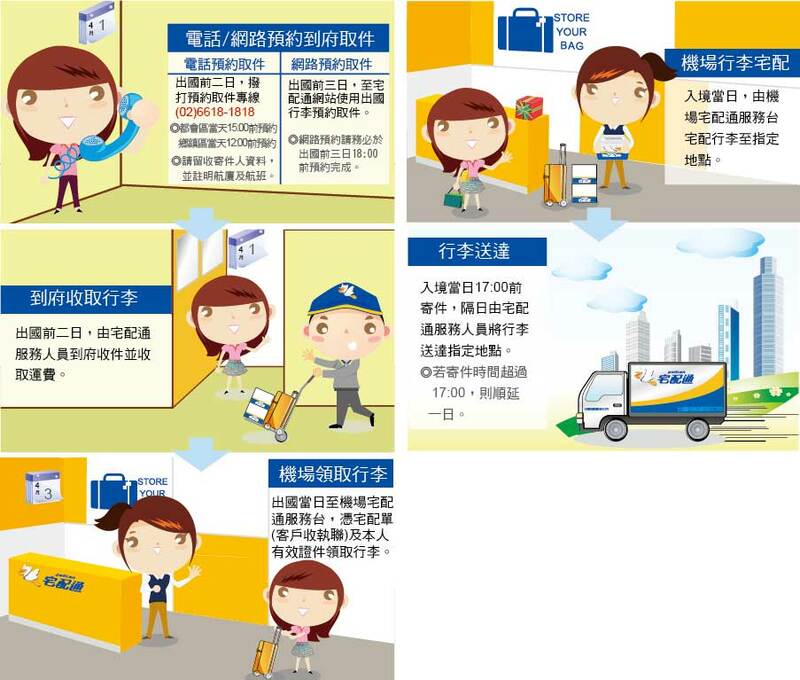 The deposit fees must be settled in New Taiwan Dollars on-site when the depositor makes the claim, and the checkout time will be calculated as the last payment amount. (1) Deposit fee is calculated based on “3 hours as 1 unit”. 3 hours will be considered for deposit less than 3 hours; one time frame (3 hours) will be calculated if exceeding 3 hours, and so on. (2) Deposit fee is “24-hour a day calculation” will be calculated based on 24 hours if it is less than 24 hours. If exceeding 24 hours (day), the first day is the original price, from the second day is half price calculation and cumulative charges so on. Note 3：The super large luggage specs for each piece are restricted to 187-300cm (inclusive) or less. The single side of the luggage is restricted to be≦200cm (inclusive) or less and each luggage is restricted to a weight of 40Kg (inclusive) or below, if overweight must be separated packaging and recalculation. ◎There is a surcharge of NT$20 per piece for additional packing ropes. Copyright©2012 Taiwan Pelican Express Co., LTD. All rights reserved.